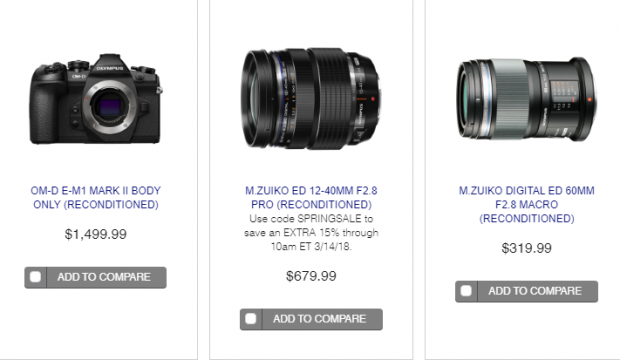 GetOlympus has just released a lot of reconditioned Olympus cameras and lenses. The reconditioned Olympus OM-D E-M1 Mark II Body for only $1,499.99! ← 2018 NAB Special Deals Alive!